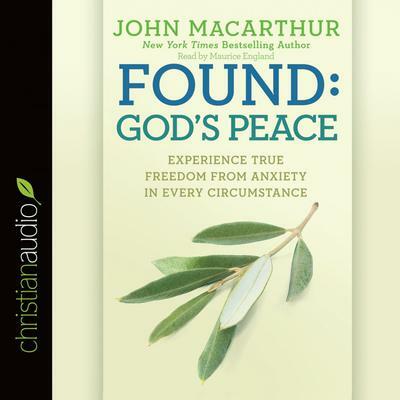 In Found: God’s Peace, trusted pastor and teacher John MacArthur tackles this vital question head-on. Throughout the book, MacArthur shares principles to help you overcome uncertainty, defeat worry, and experience true freedom from anxiety.As Pastor John MacArthur writes, the key to worry-free living is to replace worry with prayer, right thinking, and action. Here he draws on rich biblical truths to show us how.